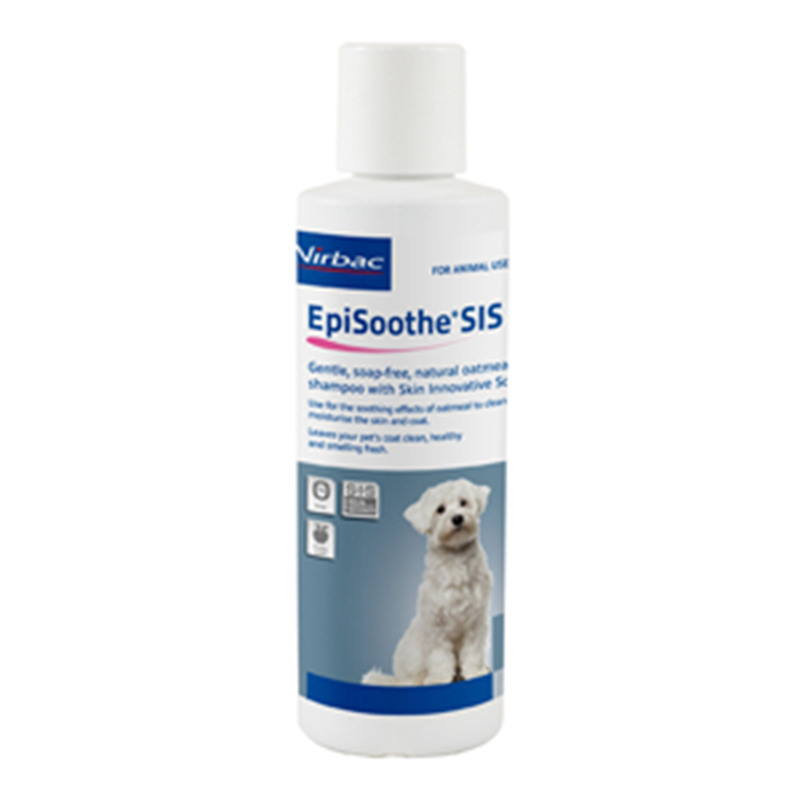 Epi-Soothe Shampoo is an excellent soothing and grooming shampoo for dogs. It significantly reduces itchiness and provides soothing effect. This skin care product gently cleanses dirty skin and fur leaving the skin clean and supple. It provides long lasting refreshing apple scent aroma and moisturises along with it. The microscopic oatmeal particles in Epi-Soothe shampoo help to gently remove dirt, chemical and allergens from the coat. Spherulites present in the product allow for a slow release of various ingredients and help to prolong the product's effectiveness long after its application. The ingredient Chitosanide forms a protective barrier over the coat and skin, and assists in minimizing the dryness of the skin. Use lukewarm water to thoroughly wet the skin and coat. Apply shampoo at the several parts of the body. Use sponge to lather up and gently massage into the coat and skin thoroughly. Leave shampoo for 5 to 10 minutes to allow sufficient contact time and best results. Thoroughly rinse off shampoo using lukewarm water. It acts as anti-adhesive for staphylococcus, pseudomonas, and malassezia. Spherulites aid to continuously release ingredients into the skin and coat after application. Epi-Soothe shampoo soothes, hydrates and restores skin dramatically. This soap-free formulation maintains skin moisture and controls itching. The fresh apple scent leaves the refreshing smell for longer time. If undue skin irritation develops or increases in your pet, discontinue the use and consult a vet. Amazing product,amazing scent, amazing effect on skin !!! Really thankful to Epi soothe shampoo. This is the only product that gives total relief to my pug’s skin allergy. So, definitely I would like to recommend this product. Good for Itchy skin. Helps with the scratching after my dog's been running in the grass. It smells great too! No bad effects on fur or skin of my dog. Good product at cheap rates. Will buy again. Thanks Vetsupply for quick service. I never used any shampoo on my dog but this is the first time I am using this product and the results are absolutely fine. The discount given here on this is also good.